Packed with expert advice, practical strategies, nutritional information and over 80 recipes, Real Food for Babies and Toddlers offers a more natural way of introducing wholefoods to children during the all-important first 1,000 days of life. It also rescues parents from the tiresome task of making separate meals for the youngest members of the family. 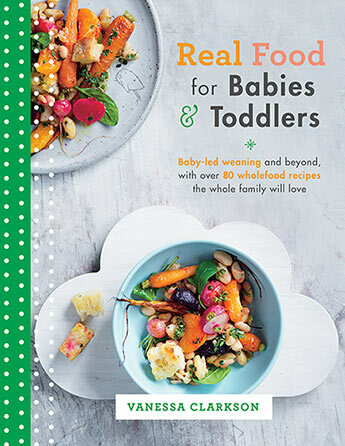 Using a baby-led weaning approach rather than the traditional method of spoon-feeding puree allows parents to observe and respond to their baby's natural cues and introduce a world of bright, flavourful, nutrient-rich foods from the get-go.